We are a full service advisory and installation firm serving Manhattan. We specialize in bringing the aesthetics, quality and design of high-end installations at a more affordable price. With an affiliation with a URC Master Dealer, we provide you with not only the best remote control for your needs, but also with the utmost in customized programming to get the most of your remote, your equipment and your enjoyment! 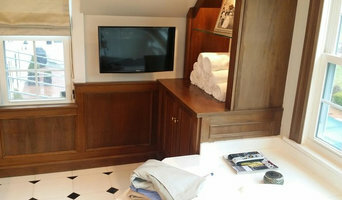 Our installation team is professional, courteous and clean. We prepare the worksite to protect your floors, furniture and valuables and ensure we leave your home as clean as we found it (and often cleaner!) We strive to provide our clients with the best service and equipment. Opus Audio | Video | Control Inc.
Opus is a low-voltage systems integration firm with a 23 year history of successful projects in the New England area. 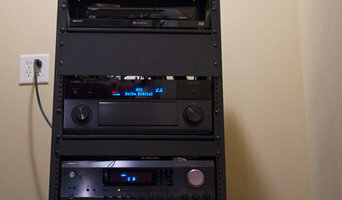 We specialize in the custom installation of Audio Video & Automation products. 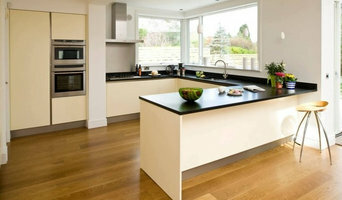 We are a small company which allows us to pay special attention to every project. During the sales and project management aspects of your project, you will always deal with the same person. On the installation and support side, you will always see the same people and get to know them. Our primary goal is to make your home or business systems, safe, elegant, fun and easy to use. Our team is comprised of world-class experts in every field whose number one priority is to provide the best products and services to our clients. Founded by partners Dan Kuronya and Jonathan Phillips, Connect Consulting's principals have been designing electronic systems for more than 25 years. Our extensive experience in residential systems and unparalleled commitment to client satisfaction separates us from the field. Connect Consulting's team includes professional installers, designers and custom installation experts. Connect Consulting is a proud member of CEDIA, the Custom Electronic Design & Installation Association, and a proud member of Azione Unlimited, the consumer electronics integration technology group. Connect Consulting is a New Jersey Licensed Home Improvement Contractor. At Interactive Home Design, we have been providing cutting-edge home audio/video automation services to the greater NY area for over a decade. The leading force behind Interactive Home Design is owner and founder Pete Pedone, who brings over 30 years of electronics and electrical engineering experience to each project. 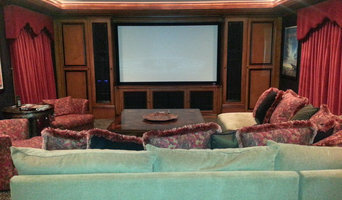 Electronics Expo has been New Jersey's premier destination for over 15 years for Home Entertainment. We showcase several of the most premium brands in the industry. Whether its Home Automation, Home Theater, Multi Zone Audio, Outdoor Home Entertainment, or Security and Lighting, we can do it all for you. From Design to Integration, we can be your one stop to handle the entire project to completion. 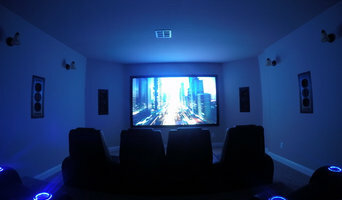 There are many Audio Video Companies that can put up TV's, put speakers around the house, fix your networking problems, build you a home theater, set up telephone systems, offer handyman services, or tell you what will work best for you. Signature Audio Video Systems & Home Services does that with one major difference: your vision is what we strive to achieve. We establish a level of trust with our customers by listening and explaining what will work and what won't and we do it in a way that you will understand. We also pride ourselves on being up to date on many new technologies so that our customers' projects are future proof. Most of all, we are a company built on integrity, timeliness, value, and quality. Please visit our reviews section to read for yourself what our valued customers think of us. We are looking forward to helping your visions become reality. Recently earned the "BEST OF HOME ADVISOR 2015" award! We would love to hear from you about any projects you are thinking about. Give us a call today!